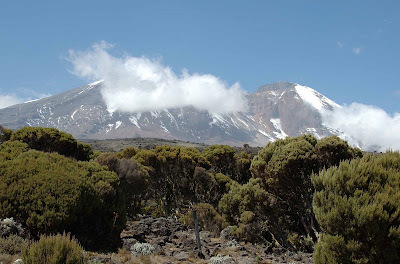 Kilimanjaro has always captivated me for as long as I knew my geography of Africa, not only this being the highest mountain in continent Africa but also the exotic nature of its settings. Down in the Savanna plain, the wild animals dwell, and the vast expanse of the land that never seem to end. We have planned this trip many years ago, after our initial climb to Mt Kinabalu in Sabah in 2005. Climbing Mt Kinabalu took 2 days for both the ascent as well as the descent. 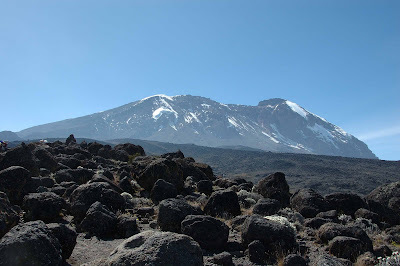 But for Mt Kilimanjaro, it can be done in various ways, and we have opted for a 4 days ascent and 2 days descent. 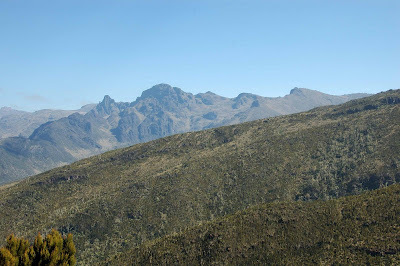 On hind sight, we should have made it 5 days ascent and 2 days descent. Physical – Fitness is a pre-requisite in climbing any mountain. 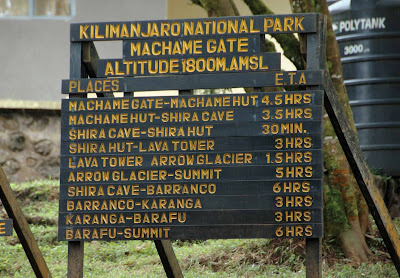 And all the more so if one wants to attempt to climb Mt Kilimanjaro which stands at 5,895 m as compared to 4,095 m for Mt Kinabalu. Training includes endurance walks in Singapore, and many sessions in the gyms as well as Bukit Timah Hill. Mental – Most of the times, we get defeated just by asking ourselves “have we arrived yet”, or “what another mountain to climb”, or “when is this going to end". If one is filled with such thoughts, then there is no point in opting for such activities. Climbing a mountain is always about the majesty of His creation and the wonders that surrounds this creation. One can only drink in the beauty and be humbled that one is so puny, but so important in His sight. 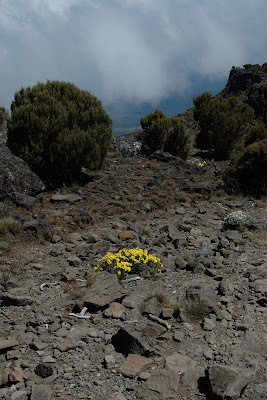 Equipment – Any mountain of such altitude will be cold and windy, and the further the mountain is from the equator, the colder it is going to get. Mt Kinabalu at its summit can easily reach sub-zero, and Mt Kilimanjaro likewise at 3,100 m onward, already reaches sub-zero at night. Most vital for us, will be proper clothing for the weather, as well as sleeping bag that can withstand the cold. Though I have brought the same winter gears that kept me warm in Detroit (where temperature can go down to -15 deg Celcius), I was still ill-equipped for the coldness on the mountain. Thermal base layers, protective outer shell, gloves, cap etc – all these gears I brought were inadequate from the cold blast of the mountain. * Seemingly lack of body heat. Feeling of coldness despite multi layers of clothings! Though many doctors will prescribe Diamox, the wonder drug to combat AMS, but there are other doctors that simply refuse to prescribe this drug. Primary, this drug causes the blood to thin and at the same time make one hyper-ventilates. These two effects are supposed to provide more oxygen in one’s system to combat the lack of oxygen. 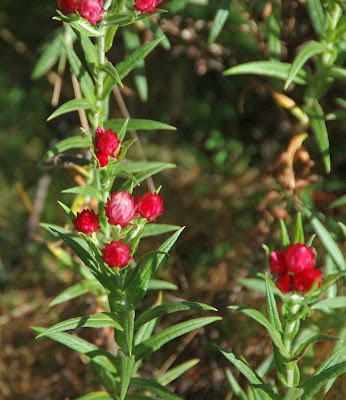 The best remedy for AMS is to ascend slowly and to spend more time at a higher altitude for the body to acclimatize to the thin air environment. I have climbed Mt Kinabalu 4 times, and only suffered minor headache at Laban Rata Hut (3,262 m), which disappear after taking a panadol. 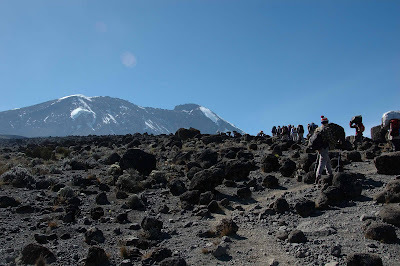 However, this time in my climb to Mt Kilimanjaro summit, I was stricken with AMS at an altitude of 4,000 m, and finally I have to give up my climb at 4,600 m when I experienced frequent vomiting and coldness. 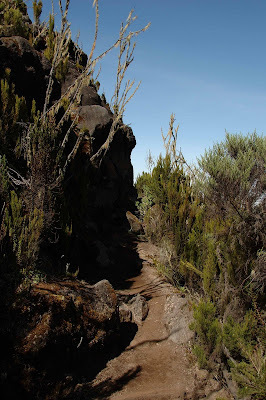 The AMS was so bad, that it was no longer prudent to continue with my climb, and decided with the agreement of the guide to descend to a lower altitude. 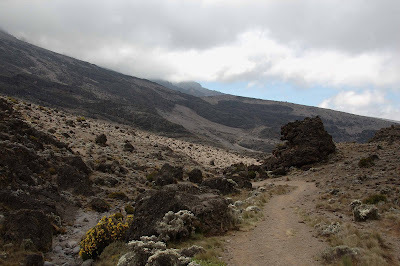 Our guide told us that Kilimanjaro comes from 2 Chagga words. Kiliman – Hill/Mountain and Jaro – White top. 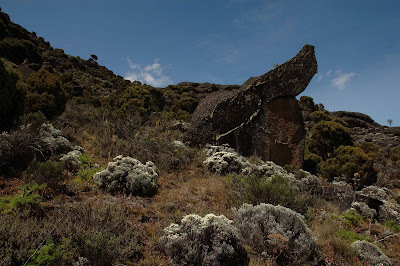 It was said that when the areas was first survey for cartography, the surveyor asked the native Chagga tribe, the name of the mountain, and it was then told to the surveyor that this was “the mountain with white top”. 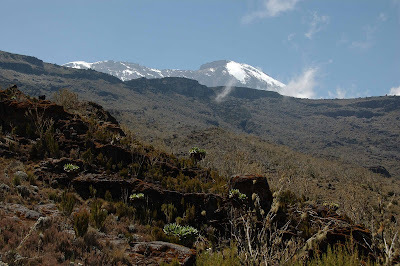 Thus "Kilimanjaro", this name has been associated with the mountain, as well as the region around this highest mountain in Africa. 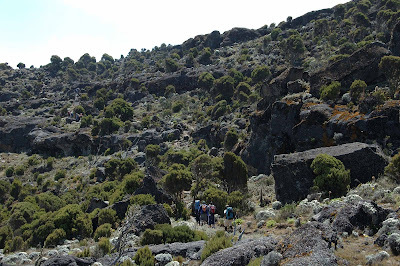 The mountains here were formed by two dormant volcanoes (Kibo and Mawenzi) and one extinct volcano (Shira). 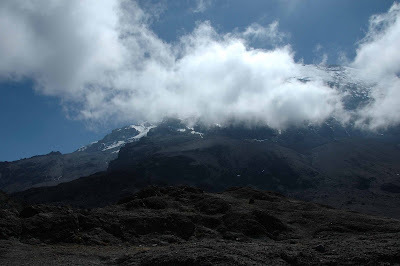 Kibo is now the highest mountain, standing at 4,895 m tall, after Shira’s top collapsed 750 years ago. 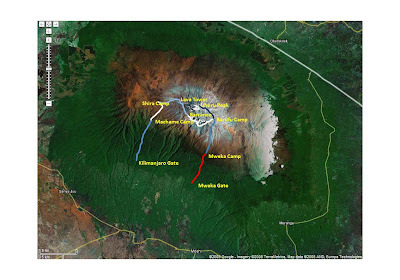 Kilimanjaro National Park is located 330 km south of the Equator in the country of Tanzania, and the park was declared a World Heritage Site by UNESCO in 1989. 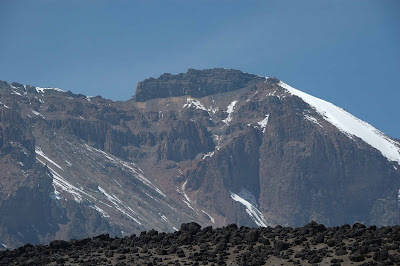 Previously, climbing on this mountain was done on an ad-hoc basis without much control, and just about anybody can climb in any direction to the summit. This uncontrolled activity has led to many unnecessary death as well as trails and summit filling with litters. 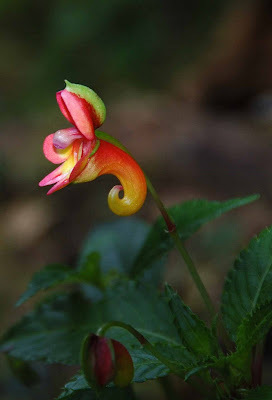 Nowaday, with controlled admission, the climb up the mountain is most pleasurable and safe. There are various Rescue Stations around the major trials for emergency evacuation in case of accidents or AMS. 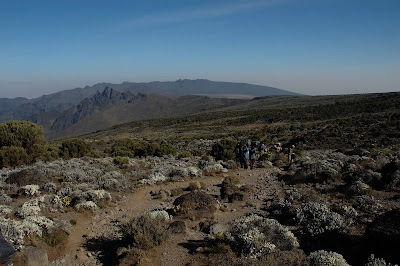 There are various routes up to the summit, and for us (five of us), we have decided to go via the Machame Route which is much longer but provide better sceneries. 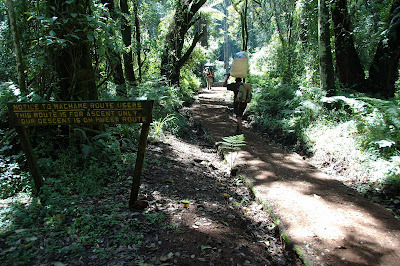 A more comfortable route is via Marangu Trail which provide huts for overnight stays. Whereas all other routes requires the setting up of tents. 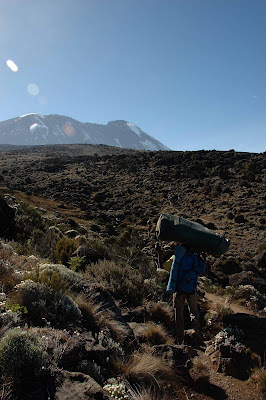 According to Park Regulation, each porter is only allowed to carry a load of 20 kg, therefore with the tents as well as kitchen and our personal belongings, it worked out such that for every one of us, there will be 3 porters. 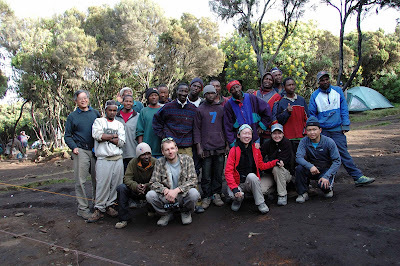 Since there were 5 of us, there were 15 porters, 1 assistant Guide and 1 Chief Gude. But from the pictures you see below, I doubt very much that each of them is carrying 20 kg, it seems a lot more! 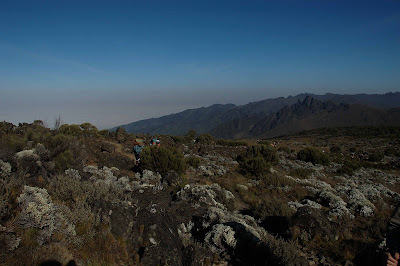 Initially, when we first browse at the itinerary, we thought that this will be one of the most challenging trial, as we have to cover a linear distance (not taking account of slope) of 11 km, with an increase in elevation of 1,300m. 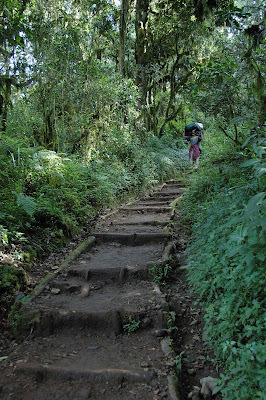 However, starting at 1,800 m, our physiques were conditioned for such long walk, and we faced no obvious tear and wear to our legs muscles. 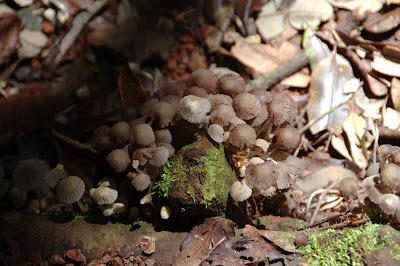 A notable observation, as we walked through the forest was the eerie silence! 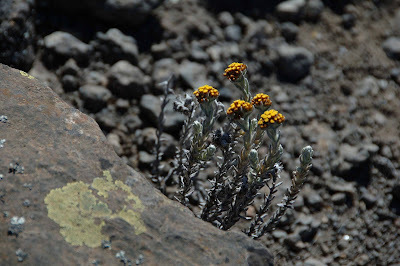 Not many animals stirred at this altitude, there were no external sounds saved for the noise made by our soles against the volcanic soil. 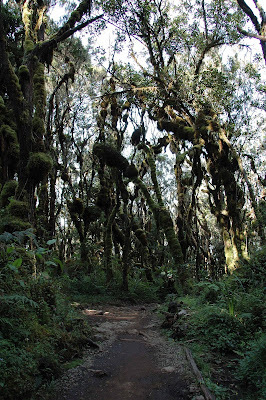 At this altitude, the vegetation was that of the rain forest, with tall trees, and since the forest is seemingly perpetually wet, moss and lichen cling to much of the trunks of the trees. 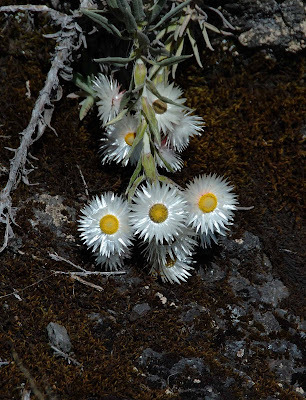 Epiphytes flourish under such condition, with much water, sunlight exposure and space to grow. 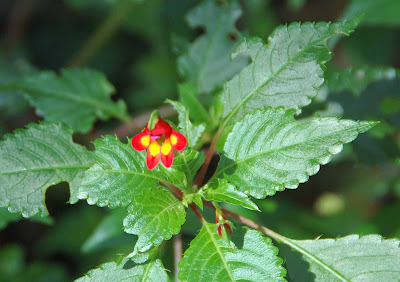 At the higher altitude of 3,100m, the sun ray is extremely harsh, as there is no cloud cover to disperse the harmful UV ray, and at night the mountain is very cold, and couple with strong winds; the plants have adapted to such harsh condition by having very short and thick leaves. 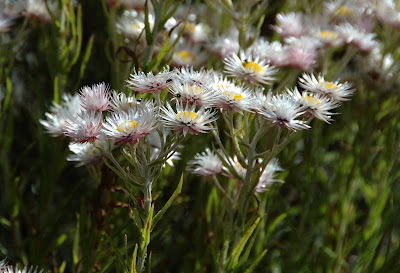 Flowers are particularly bright, or maybe that is the effect of much UV reflecting off the petals. 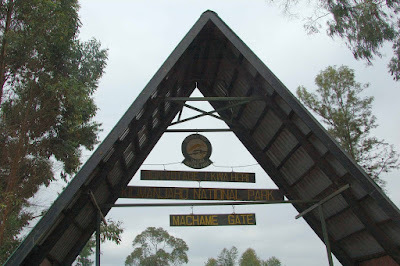 The long distance was quickly covered, and we arrived at the Machame Camp in high spirit. 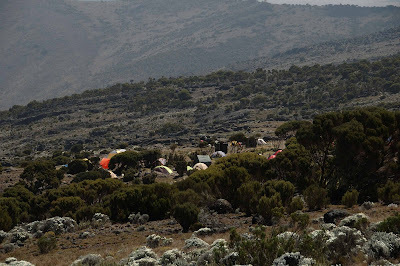 Though we have been walking at a fast pace, the porters with their heavy loads walked even faster than us, they have arrived at the camp site and have already set up the camps (our rooms) and have cooked us pop corn with tea. 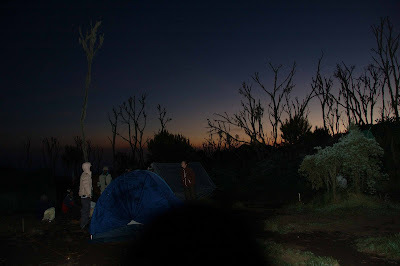 By night fall, without the artificial lightings that we nromally encounter in city life, the camp site was pitched black, and that is when the marvel of the sky began to unfold. Spanning the southern sky was the milky way, the spiral end of the galaxy which our solar system resides. Millions of star dotted the sky, and I was able to identify couple of constellations that I have seen in pictures and sky maps but never have a chance to see them in our metropolitan clouded sky! The mountain may be big, but once again in comparison with the cosmos, we realized we are even smaller. Interestingly, the total time taken was about the same as the Day 1, but the distance covered was shorter. No doubt this has to do with the altitude, as it was much harder to cover the same ground in the same given time due to the slowness of our pace for lack of air. 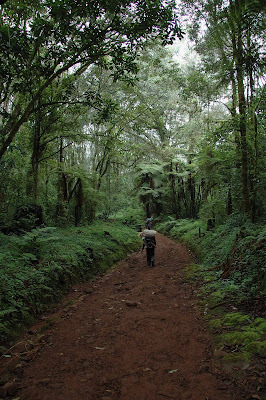 The key word that we get to hear from our guide and porters, and also as a form of prevention of AMS is to “po-le po-le”, in Swahili it simply means slowly. Going slow is vital, as it provides the opportunity for the body to acclimatize to the altitude. On this day, we were able to sense the towering height of the dormant volcano, and though it looked very near, it was still far away. 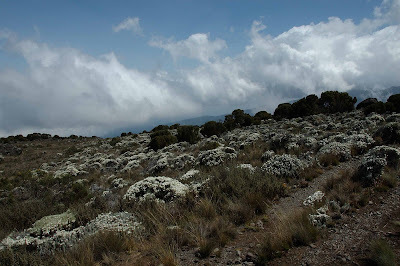 At this altitude, the vegetation has turned to moorland type of environment, and near to rocks, where top soil has collected, and prevented from being blown away, small shrubs take roots and grow. An interesting “pandanus-like" shrub that grow here is the Lobelias, it has purplish flowers growing in between the leaves, and once the plant has bloomed, it will died. 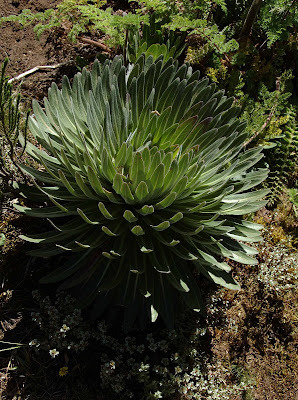 Near to the highest point of 3,900 m, I started to feel the effect of AMS. I wondered whether we should have walked much slower and heed the advice of our guide to go “po-le po-le”. I have to pop 2 panadols before cloud of giddiness was dispelled. 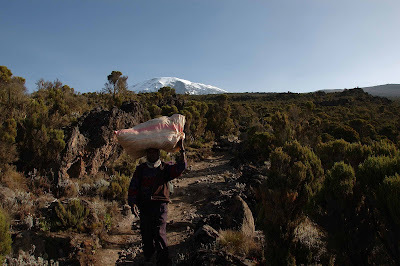 Again, our porters were faster than us, and by the time we reached Shira Camp, they have already set up the tents, and again pop-corn was in the “galley”(another tent). On this day, we got to hear the bad news that one of our porter may have come down with Malaria, and would have to return to the lowland for treatment, and then we hear another news that one of the porter came down with AMS. 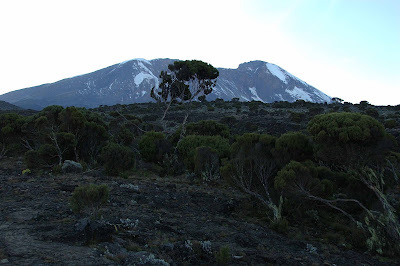 At this altitude, once the sun has set and the wind started to blow, it became very chilly and unless one is properly clothed for the cold, many of us would have to retire for the night at an unusual time of 7:30 in the evening. Once again the night sky was filled with the myriads of stars in the vast universe. Again the milky way charmed the observers on earth. 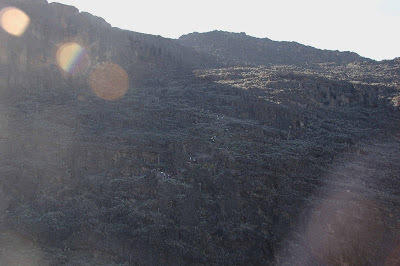 Shira Camp is located under the shadow of the summit, and though it was already 6:30 in the morning, the sun ray has yet to reached the camp. When we emerged from our “cocoon” of down sleeping bags, the cold air greeted us to sudden awakening. It was only when the sun climbed above the summit, and the rays finally reached the camp at about seven-tish that we can peel some layers of our clothings. 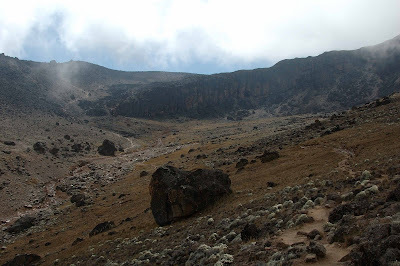 The walk from Shira Camp to Barranco Camp, will be a tough one, as we have to climb to a maximum height of 4,500 m, and then descend to 4,000 m to our camp. 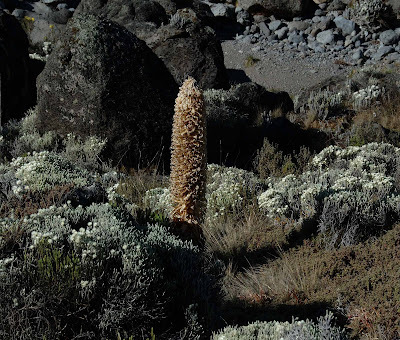 Once again, we moved “po-le po-le”, and enjoyed a different scenery that the mountain at 4,000 m can offer. Basically, rocks and more rocks! 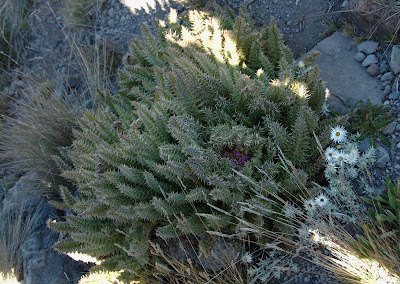 At this altitude, it is considered high desert, and only the toughest of the plants can grow here. 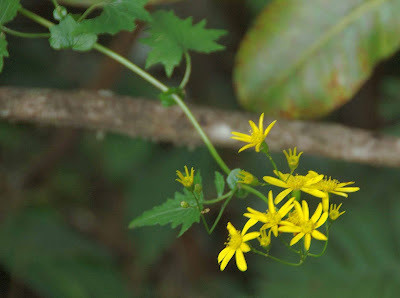 In particular the Giant Groundsel. 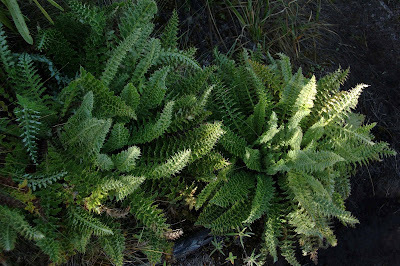 Dotting the landscape near to our camp were many of this plant. Along the way, we passed Arrow Glacier and the Lava Tower. Once upon a time (and that was less than 15 years ago), a glacier used to be around here. 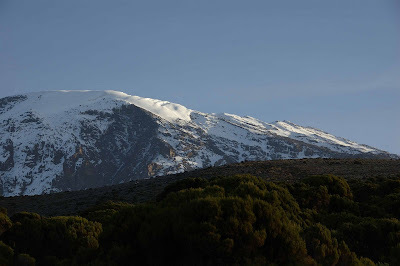 We were told by the guide that in those days, while sleeping in Barranco Camp, they would occasionally hear the falling away of ice chunks from the glacier. Now it is just a barren land. 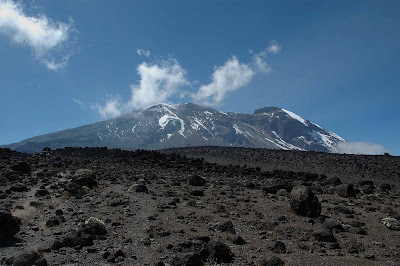 The Global Warming has basically caused much of the glaciers around the world to retreat, and the glaciers in Kilimanjaro is no exception. 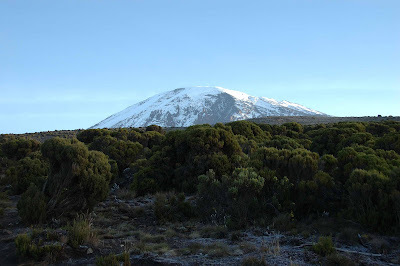 Scientists have predicted that in another 10 to 15 years, the glaciers on Kilimanjaro will completely disappear! 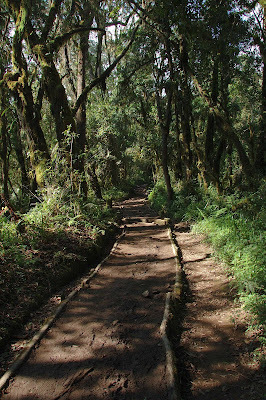 Though I did not suffer from AMS on this track, but upon arrival at Barranco Camp, I realized that something was amissed. I began to feel nauseating, and started to vomit. This started a chain of event, which required me to stave off from food, as it was coming out as soon as I tried to consume them. Believing a good sleep will solve the problem, I promptly retired for the evening. 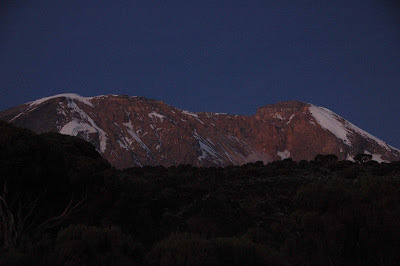 On this day, and we knew that behind our head that on this day at night we will be attempting to go to the summit. We started our journey late, as some of us were not in the best of shape. Especially for me, where the AMS has developed into another new symptom in the form of diarrhea. Where we have our breakfast, our guide showed us the “Breakfast Mountain”, the very beginning of our climb after breakfast. 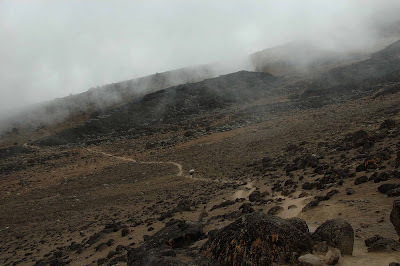 From the camp which was at 4,000 m, we would be ascending to 4,230 m which is the peak of this “Breakfast Mountain”, after which we will make our descend and to climb up again another mountain. 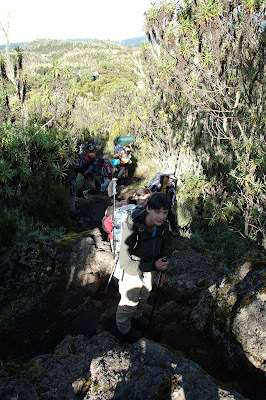 This will go on for another two times before we reach another camp site called Karanga Camp. 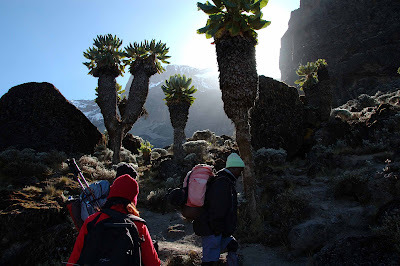 Unfortunately, our itinerary did not permit us to camp overnight, but we have to proceed to Barafu Camp which was located at 4,640 m.
In my record, this will be one of the toughest climb I ever made with a partially filled tummy (due to nauseating) and sore tummy (due to diarrhea). 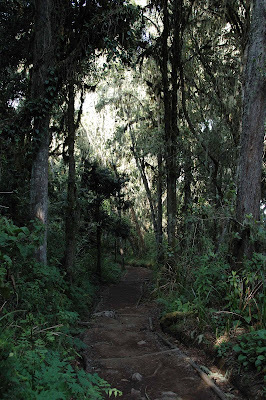 Upon reaching the midpoint of this trail, which is in Karanga, I managed to drink soup for lunch, as it was difficult for me to take solid food. Due to the constant throwing, I believed that the acid reflux may have caused my duodenal (the junction where the gullet meet with the stomach) to inflame. Now I have another problem, as drinking of water caused pain to my chest. 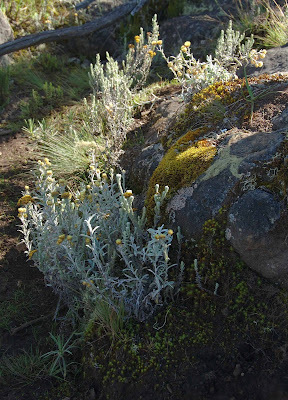 Hydration is very important as it is extremely dried up on the mountain. 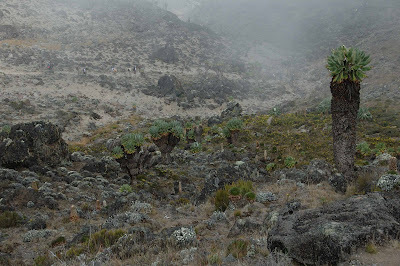 Trudging along from Karanga to Barafu Camp was one huge effort, and our pace slowed tremendously as I was struggling to climb the last few hundred metres to our camp at 4,600 m at 6:30 pm. Upon reaching my tent, I can only flop down, and decided to give dinner a miss. Without proper nutrients for energy, and with these AMS symptoms, I decided to play it safe by descending to a Rescue Hut at 3,900 m together with one porter and the guide. 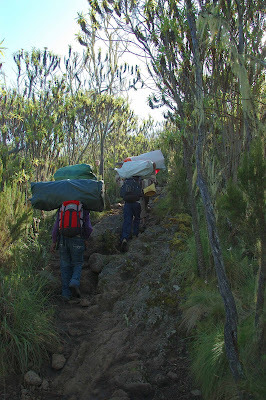 Going down from Barafu Camp (4,600 m) to Height Camp (3,900 m) was no easy task, as we descended at about 9 pm. Interestingly, as one descends, one’s energy seemed to return! I went down to the Height Camp powered only by 2 Oreo cookies. This night happened to be the New moon, and it was pitched black, the only sources of light came from the guide’s flash light and my headlamp . I was told the journey will take about 2 hours, but at 11 pm, we have yet to reach the destination, I decided to ask the guide how much longer before we reached the rescue hut. For this, I was told that it will be another half an hour, at 11:45 pm – we were still walking. This time I just have to pray that I will reach the camp before my energy gave up. Then, I smelled the smell of urine – civilization! 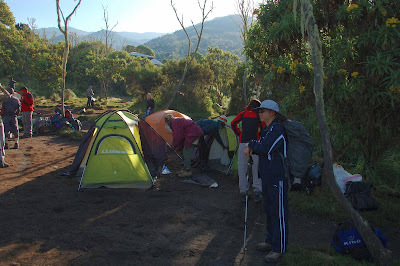 Was I glad of the smell for true enough, in less than 5 minutes, we arrived at the Ranger Hut in Height Camp. Certain time in our life, we have to make certain key decision, to prod along and hopefully try to reach the summit with possible more injury to oneself or simply have the common sense to know that the mountain will still be there, and another attempt will still be possible. 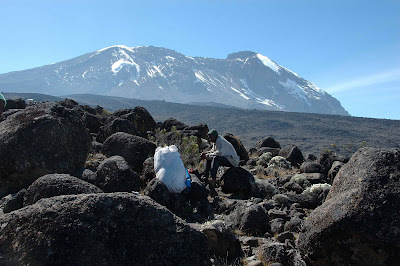 On this same day, my other companions moved out of Barafu Camp at 11:00 pm to attempt to climb to the Summit. I can only gather the information from what my friend has told me and from the GPS log. 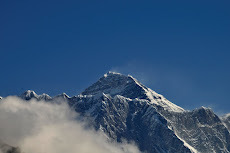 It is rather odd that the planning of our itinerary stressed so much activities at such high altitude. 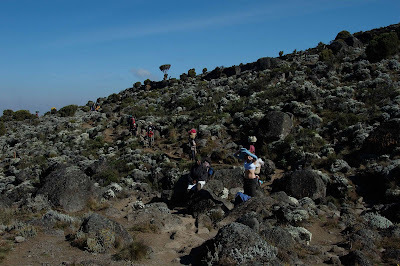 From the time we arrived at Barafu at 6:30 pm, the team has only about 4 hours of rest before making another 12 hours of going to the summit and back to Barafu. 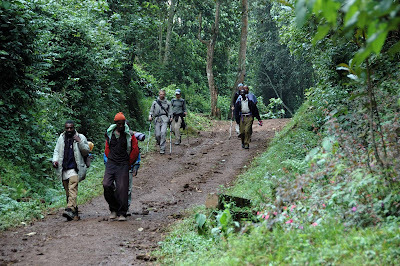 After which, they rested before making another 5 hours to trek down to Mweka Camp. Unless one is very fit, this will be one daunting task! 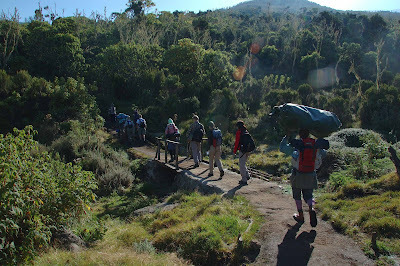 In the meantime, I have already descended to Mweka Camp from Height Camp, reaching there in the early morning of 10 am. As I have much time to kill, I decided to do some birding. 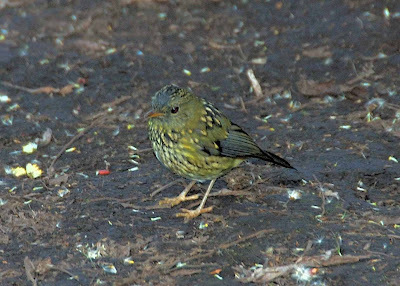 I stood at one spot, and recorded about 10 species of birds. 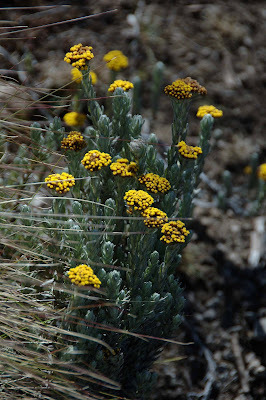 The vegetation at this altitude was tall shrub and provide much coverage for the various birds. 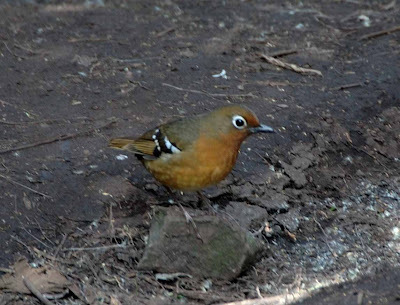 I have no idea to their ID, but the plumage was very beautiful. 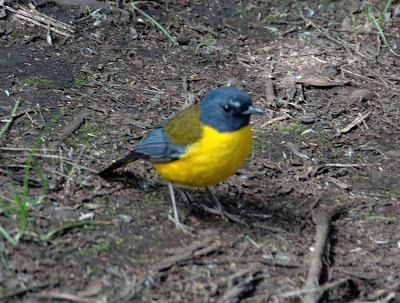 I suspect that due to their constant interaction with the human in this camp site, they are less shy of being seen! 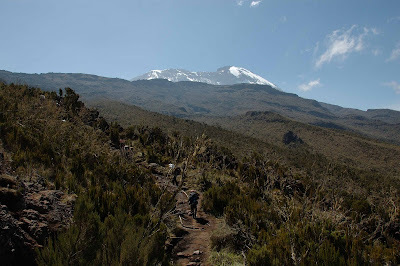 On this last day, it is customary for the Guide and Porters to present to the climbers the “Kilimanjaro Song”. 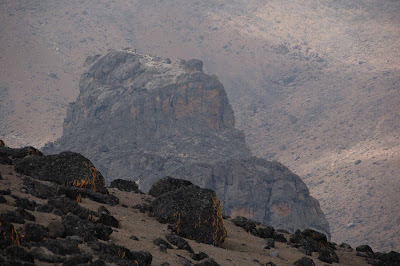 Well it is in Swahili and from snatches of phrases and rough interpretation, it said something about the beautiful mountain that tourists/foreigners come to explore and to behold its beauties. Again as one descend, and especially going away from the critical height for AMS, the body after prolonged adaption to thin air suddenly get a boost from much oxygen. 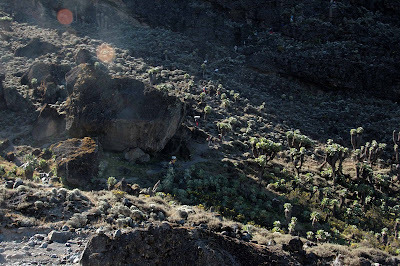 We managed to descend in 2.5 hours covering almost 15 km. 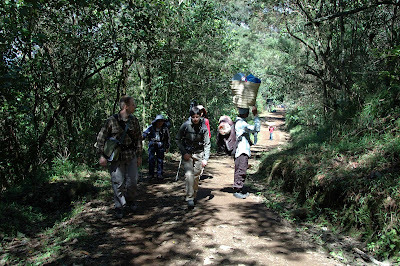 Joking to my friend, I told him that this was the first time, we have overtaken some porters! 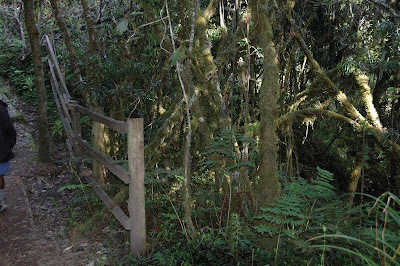 The vegetation becomes very dense, and trees here become much taller and bigger. But still the quietness of the forest is very eerie! 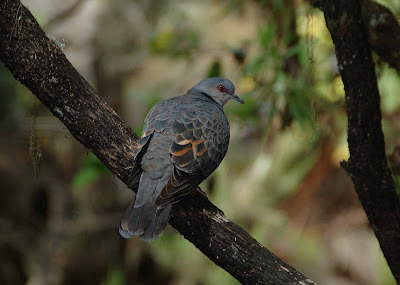 We can hear birds darting and chirping in the foliage, but it was difficult to catch sight of them. From their fine shriek sounds, I can only guess that those might be sunbirds of some sort. 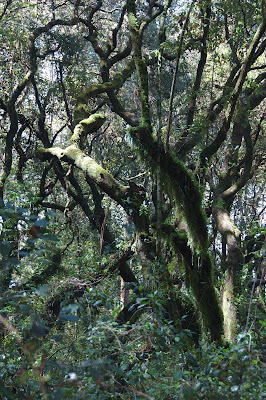 Again, in the damp forest, the epiphytes of various types abound here. Clinging on to their hosts and thus giving them an uncanny furry appearance, that is in need of a shave. If that be the case, it will be a great lost to us all! 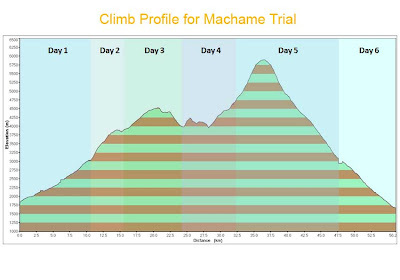 This is an excellent diary of events of your climb. 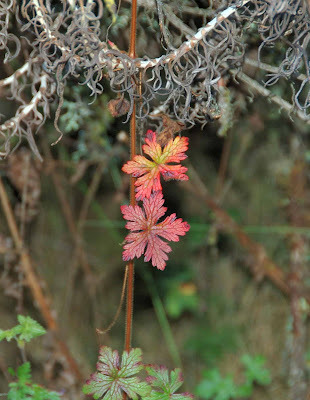 I love nature as well and was very impressed with your outdoor and nature photography. Keep it up!